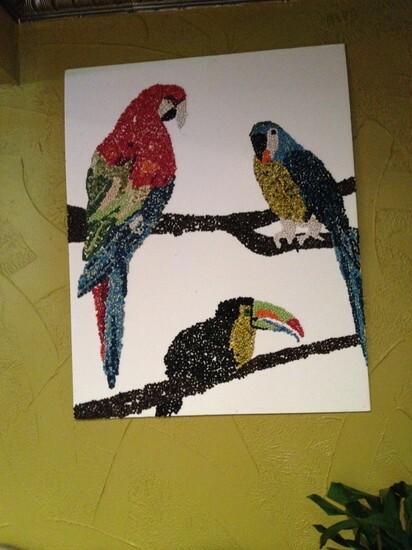 The Elkhart Hacienda is displaying "Bean Art" made by our Trinity students! 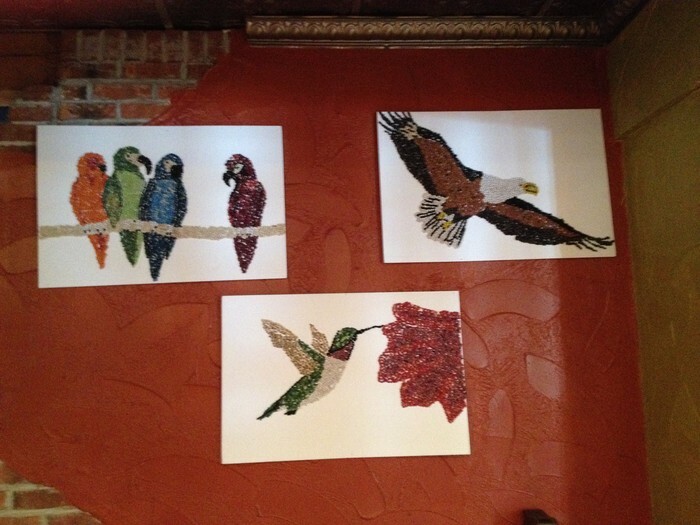 They created beautiful birds out of beans for Hacienda's "Bean Week" celebration. 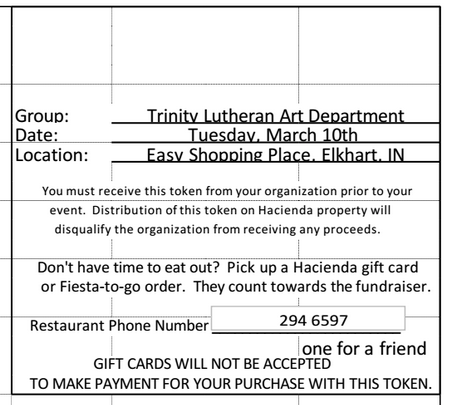 Hacienda will also give a percentage of sales back to TLS today for any dine-in or carry-out orders using the coupon below. You can print it out at home or pick one up in the school office today. Enjoy the art and the food!